I guess I am on a little flower kick these past few Wednesdays. In the nearly 8 years we have lived here, this is the first year this plant has ever bloomed. Every year the leaves grow and I just assumed it was a Daffodil. 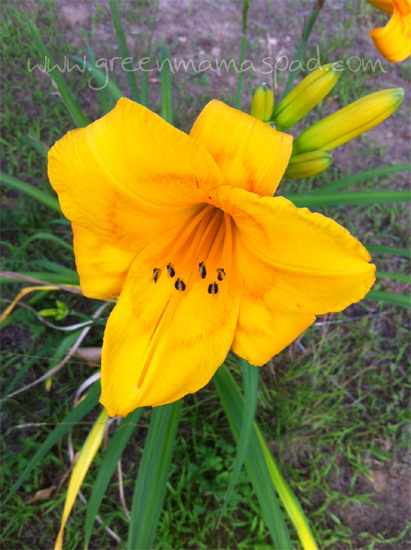 I was very surprised to wake up to these beautiful Day Lilies the other morning. Those are so beautiful and summery! Beautiful! I'm still waiting on some of my flowers to bloom! Just gorgeous! I love lilies. Oh that is a very pretty lily! I love the faint inner outline! That's so beautiful! I just planed some of these from a neighbor into my front yard by the mailbox. Hopefully it takes less than 8 years for them to bloom!! So pretty. I love lily's and yellow is my favorite color. What a fun surprise! I'm glad you were rewarded with that beauty! Check out my blog if you are a reader....Only a few more days left for the book giveaway....stop by if you like. Night Train by Clyde Edgerton is being given away to three lucky winners courtesy of the publisher. How pretty. 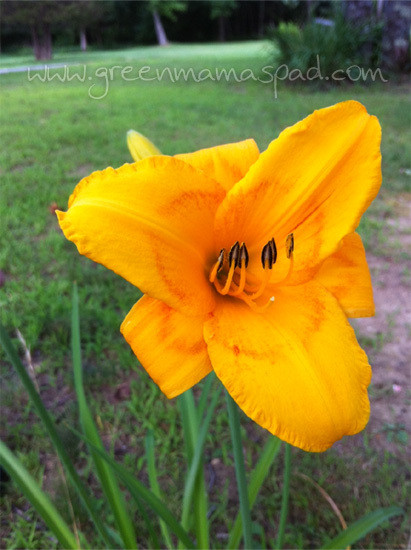 I love my day lilies! They are beautiful flowers.